In Seattle, like any large city, you can find a hotel by just about every chain as well as some great independent hotels. Hyatt offers one of the best loyalty programs and many frequent travelers book a room at Hyatt when they can. 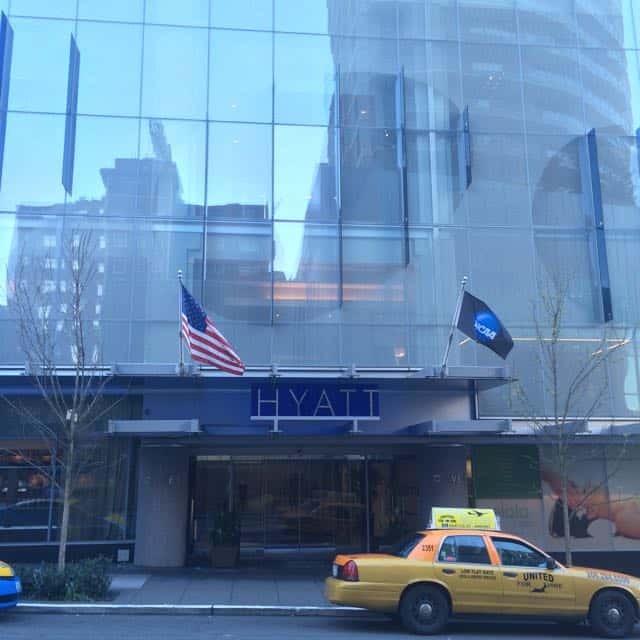 When visiting Seattle, Hyatt loyal are faced with two options: Grand Hyatt or Olive 8. Both properties are in the heart of Seattle; near the convention center, transportation, shopping, restaurants and commerce. In fact, stand on the right corner and you can see the main entrance to both hotels. The average rates are nearly identical. So, which of these two properties is right for you? Grand Hyatt or Olive 8? Read on to see my side by side comparison. 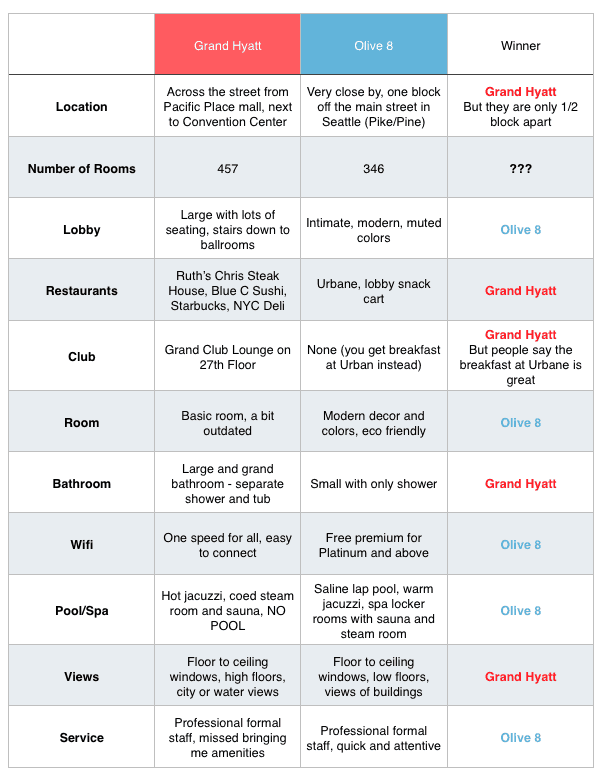 Long story short; which hotel, Grand Hyatt or Olive 8, is the better option? Well, that depends on what your preference is and what you are looking for. FlyerTalk has a long thread debating this question. For me, the modern design and the inclusion of a pool has the Hyatt Olive 8 come out on top. What about you? Which do you prefer? Read my full reviews of both the Grand Hyatt and Olive 8.